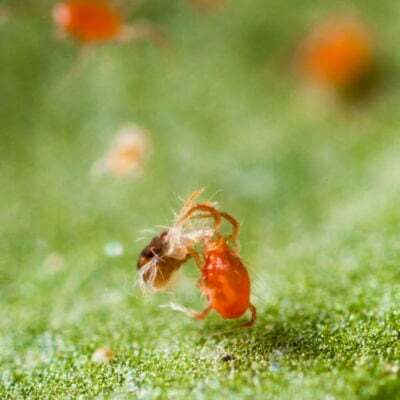 Produced commercially for years, Predatory Mites (Phytoseiulus persimilis) are an effective biological control for use against the two spotted spider mite. These natural enemies do not bite people, feed on other insects or injure plants. Once released, they will immediately begin searching for food on the underside of leaves. Control of a light infestation should occur in two to three weeks. On heavier infestations a second release may be required. On severely infested plants (webbing and feeding marks will be noticed) it is important that you reduce the pest infestation prior to releasing predators. 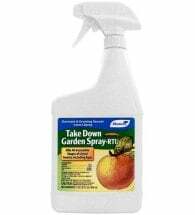 Consider spraying with an insecticidal soap or other non-residual insect control. If only a few plants are infested, consider removing them. Price includes UPS Express Shipping. Orders received by Thursday 8:00 AM (EST) will ship the following week. Please indicate at Checkout if delayed shipping is desired or give us a call at 1-800-289-6656. Heavy infestations may require a second release. Instructions for care and release are provided with each order. Planet Natural guarantees live, timely delivery of our beneficial insects. However, to ensure live delivery, it is important that you receive your order when it arrives. Once your order has shipped, a UPS tracking number will be sent to you via email announcing when your package will be delivered. We will NOT be responsible for “live shipments” left unattended at your doorstep. Please make contingent arrangements to have them picked up by a neighbor or delivered to a work address if you will not be home during the day. 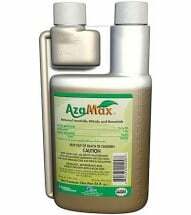 Combines the fast knockdown of pyrethrin and the residual activity of canola oil. 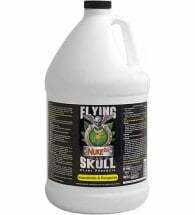 Works as well as synthetic formulas, but without the environmental impact. 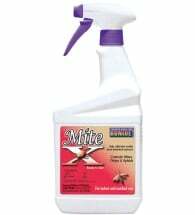 Begin applying Mite-X — made from plant extracts — as soon as insects first appear.